People think about investing as a thing for knowledgeable business expert people and it is not for newbies who hardly know about investing. With these things in mind, only a handful of people venture into investing and enjoy it's moneywise liberating benefits. 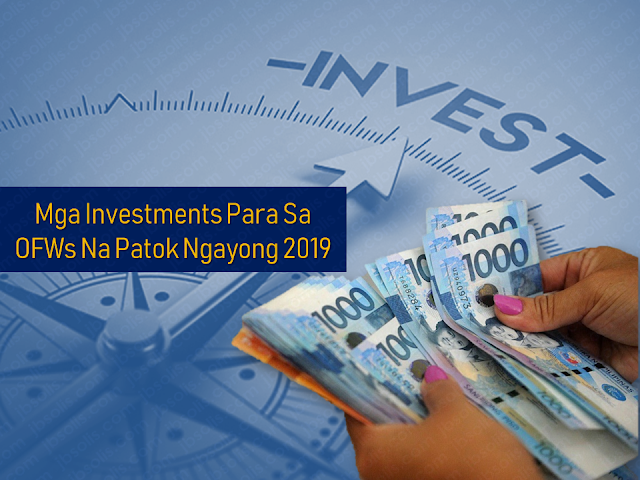 The good news is that you can do investing even without attending investment seminars and going to any business courses especially if you are an overseas Filipino worker (OFW). Instead of putting your money to networking scams that promises too-good-to-be-true return of investments, put your money to these investment ideas that will surely thrive this coming year. Aside from business ideas shown in the video, we collated some investment ideas that will surely bring you a profitable return of the money you invested. Mutual Fund, UITF, and Balanced Fund are the kinds of funds where the investor participates in a trust fund and then earns money depending on the performance of the type of fund s/he invested on. What is great about this type of investment opportunity is that you get to invest your money to professionals who know how to grow your money. Mutual Funds are regulated by the Security and Exchange Commission (SEC) and are offered by mutual fund companies like Philam Asset Management and Sunlife Financial, and also by some banks that offer mutual funds, such as BPI. This is considered to be one of the simplest types of investment as it does not require much time, effort and capital as compared to stock market. It only require₱10,000.00 as a minimum amount to invest. It is typically managed by a professional fund manager who is knowledgeable on how to grow the money you invested. Meanwhile, UITF is regulated by the Bangko Sentral ng Pilipinas (BSP), and you can earn money by investing in the majority of the leading banks in the Philippines, such as BDO, Metrobank, Landbank, BPI, PNB, UnionBank, among others. Minimum Investment: Though it the typical minimum amount is ₱50,000.00, while for others minimum is ₱5,000.00 depending on the type of investment product you want to invest into. However, investing in mutual funds like these,you must know your goals as a new investor, your investment horizon, and your risk profile. By knowing these, it would be easier for you to decide what type of investment fund you should invest on. Given that you already know what type of investor you are, the next thing to learn is to know your debt schemes. VUL Insurance is a kind of insurance that also serves as an investment. In this type of investment, what happens is that a portion of your premium is being paid to your insurance charges, but, at the same time, a portion is being invested. What is great about this is that you can choose what kind of investment you would like to invest on: balanced fund (stocks and bonds), the bond fund (bonds), or equity fund (stocks). VUL is highly recommendable for breadwinners, young professionals, and OFWs who have no insurance or are under-insured, meaning, they have no life insurance yet. In a VUL insurance, by investing your money, since you are insured, in case an unexpected death happens to you, your beneficiaries will get insurance proceeds, which they can use to finish their studies. 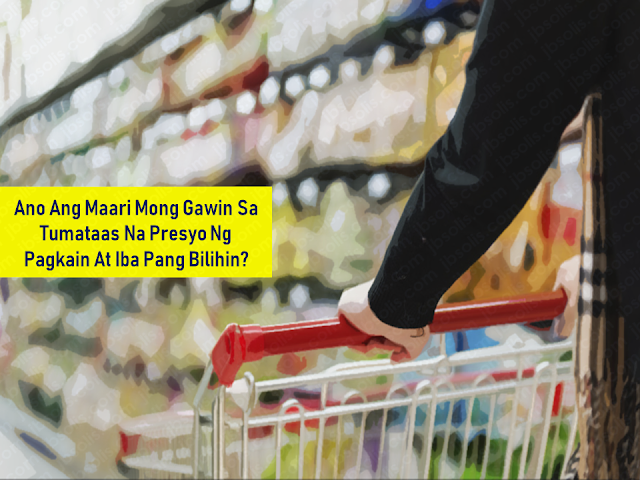 Some companies, such as Sunlife, offer insurance plans where the annual premium is ₱26,000.00 equivalent to approximately ₱2,100.00 a month. Take note that since part of your payment in VUL is being invested, how much you will receive as you retire, or how much your beneficiary receives in case an unexpected death occurs, will increase depending on the performance of the investment fund. You can avail this type of insurance in companies like Sunlife Financial, Pru Life UK, and AXA. But there are also banks that offer this type of insurance. In some Metrobank branches, there are AXA insurance agents, while in BDO, there are also Pru Life UK insurance agents, whom you can inquire on and negotiate with. When investing in VUL insurance, be keen on what the insurance agent is saying, Don’t abruptly agree on investing. Make time to search and study the fund’s performance, by looking at Bloomberg or the website of the company. In VUL, like in most insurance plans, the younger the person, the lower his/her payment will be. So don’t wait until you get older, for the premium will be more and more expensive. By investing in the stock market, you become a shareholder of the company you invested in. And by being a shareholder, you get to own a part of the company. In general, investing in stocks is a long-term commitment. And a hands-on approach is definitely needed if you wish to earn a formidable sum of money. Stock investment would only require ₱5,000.00 for some stocks trading platforms like COL Financial or eToro. Know the investment option that would suit the kind of investor you are. There are websites that allow you to assess whether you are conservative, moderate risk taker, or risk taker. But there are also workshops that can help in guiding and giving you a recommended list of stocks. Micro-lending and P2P lending are methods of financing that allow people to borrow and lend money without having to go through financial institutions such as banks. But now, these two also serve as a source of fixed income for investors. In investing a minimum of ₱1,250.00, you can earn in macro-lending and peer-to-peer lending through different online lending platforms. These lending platforms then bring together the borrowers and the lenders who would like to have their money invested and earn through interest rates. Same as with other investment opportunities, always take your time reading about what you would like to invest on. Always do some research regarding the online company including its eligibility requirements, possible interest rate risk and liquidity risk, and loan diversification. Also, make time to read reviews regarding its pros and cons. This kind of investment requires a higher money for you to invest so as to serve as a payment for the land you are going to purchase. But with the right choices, rest assured that you are going to earn more than the worth of money you invested, oftentimes even higher than all the other investment options reiterated here. 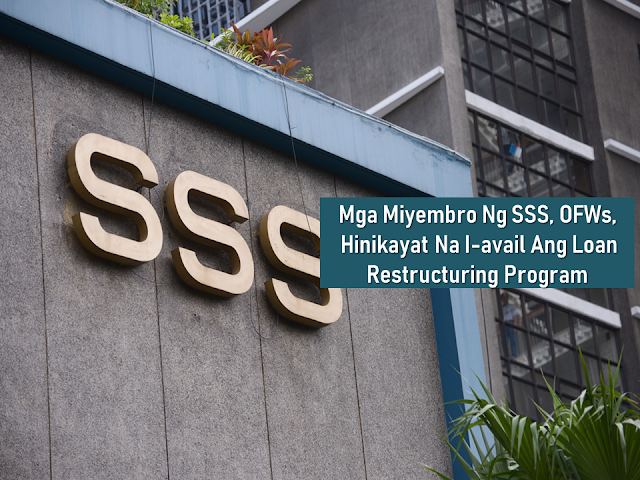 When finding foreclosed real estate properties to acquire, you can go to insurance firms, banks, and government institutions, such as SSS, GSIS, Home Development Funds, and the National Housing Authority. Take note that you always check the land title for encumbrances (debts, mortgages, and things as such). Most foreclosed properties are sold as is, imperfections and all, and therefore will almost always require repairs. So, you really may have to shell out cash before you make it available on the market for sale. However, while some properties require only minor repairs, there are those that have extensive damages requiring you a lot of time and money to have it repaired. And so, when you buy, check the property well to know if it is a worthy investment. Scrutinize if there are infestations, or if the plumbing and sewage system is damaged, or if there are damages on the walls that require immense repair. The good thing about this is that once repaired, its value will appreciate higher than other properties in the same location. When assessing, also consider the location. If it is located in a higher growth area or is still developing into a high growth one, there are higher chances that its value will appreciate. The same is true for those properties near expressways and train stations. Blogging and vlogging are also great investment opportunities. However, making money from blogging and vlogging requires continues work and experimentation. In case you are in need of guidance, here are a few points to consider when you are planning to pursue those. What is great about this is that you can integrate your hobbies and passion into your blog/vlog. Bloggers/Vloggers earn by monetizing their website through PPC ads (when readers click on the ad) and CPM ads (based on how many people view your ad). The most popular network for this is through Google AdSense. They can also earn by including affiliate links and selling digital products. Vloggers, most especially, may likewise earn from making sponsored videos. Forex Trading, as defined by FXCM, is a decentralized global market where all the world’s currencies trade. This is arguably the most liquid market in the world with an average trading volume exceeding $5 trillion. To make money through forex trading, you must have enough experience. Otherwise, you might lose everything you make. However, the good thing about this is that you have no competition. More so, the more people work on forex, the more money they make. How you earn through forex trading is also similar to those found in the stock market. Forex traders essentially earn by buying and selling currencies. So, you then exchange one currency for another in the expectation that the price will change. Know what type of investment you would like to invest on. You can invest in small businesses either through equity and debt investments. Now, equity investors earn by buying an ownership stake in the company. So, here they provide capital in exchange for profits or losses. If you are after a small business investment with a higher yield, this is a better option. In contrast, debt investors earn by loaning money in exchange for the promise of interest income and repayment of the principal. What’s great about debt investment is that if the company goes bust, they are given greater priority over the equity investors. Feel free to choose whatever it is that suits your goal taking into consideration the risks. As said earlier, do not forget to diversify. Don’t invest in a sole place. Rather, also find other ways to invest for a better risk tolerance. As an investment strategy, also consider the taxes and fees associated with trading. If you are not diligent enough, you might lose over 30 percent of how much you have invested. Find the right investment advisor. As you look for the optimal one, do not hesitate to ask questions regarding the payment methods, as well as the decision making processes. through gambling, sweepstakes, and things like that. 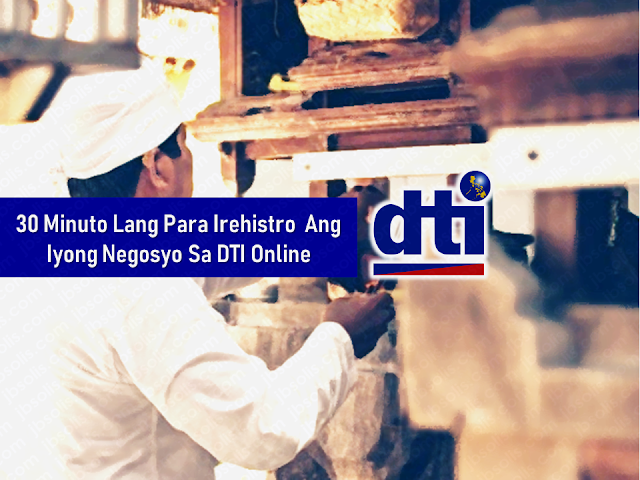 Several Filipinos love these because these are easier ways to earn money. You just have to allot an ample amount of your money and wait for a miracle to be bestowed upon you. But until when will you wait? And how probable is your chance to win? Seriously, if you are smart about money, you know that there is no shortcut to genuine success, for it requires more than luck. It requires time, patience, and perseverance.